Having amazing style allows you to accessorize your outfit easily. Each item adds refinement to a professional attire. Include a leather Carry Case for work; new or used, will give a you more refined look. 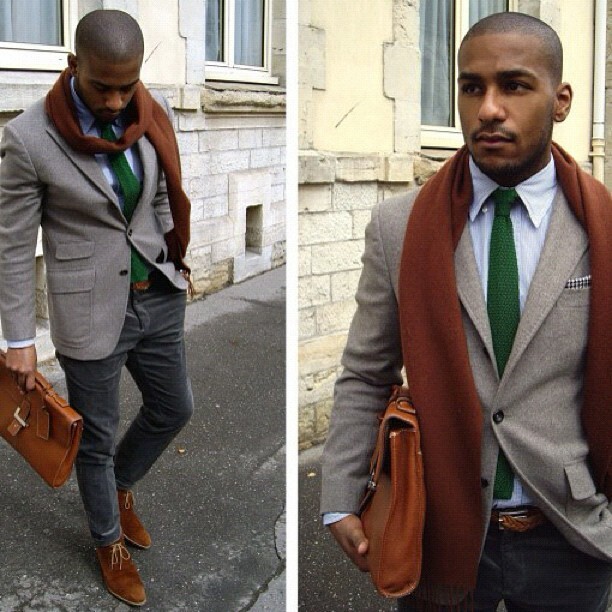 A subtle pop of color in your necktie is fun and can be quite playful! Structured shoes, and of course a woven scarf will accentuate your style this fall season!